This is a post that I found hiding in my drafts which made me realise that I never even posted about this! 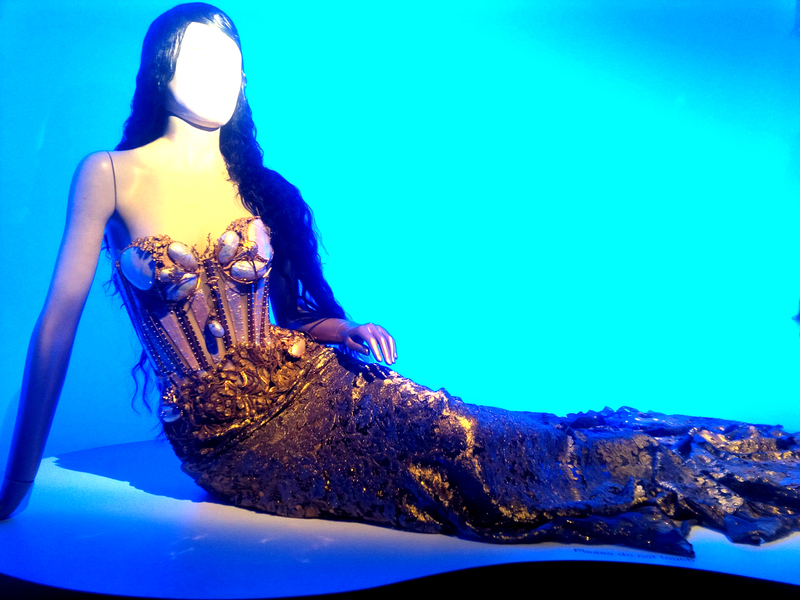 The Jean Paul Gaultier Exhibit did come through Australia earlier on in the year but I figured that since it is travelling around the world – I could still post about it! I absolutely LOVED the exhibit. I am a fan of fashion and I know it sounds so strange but it was hard to believe that I was staring at the exact one-of-a-kind, handmade and beautiful pieces that made their way down the runway. I am not personally an owner of any high end designer clothing but I still enjoy to admire these pieces from afar. The only thing that I would have changed about my experience was to not leave seeing the exhibition until the very last day!! I was so distracted with everything that was going on at the time that I left going to this exhibit at the very last minute and oh my gosh was it busy! I went to this show with my boyfriend, there was suuuch a huge line and the entire exhibit was soo full and packed that it was basically impossible to get any sort of photo without 6 million other people in it haha. BUT that’s what I get for going on the last day!! I just wanted to share with you guys a few photos of the exhibit in this post. If you have an interest in fashion and this show happens to be going through your city – I would definitely recommend to see it! Maybe try and go about midway through the duration that it will be in your city. This way, you will skip the mad rush that will happen when it first arrives and also avoid the mad rush of people trying to see it before it’s over! The images that I am including in this post were not necessarily taken in order. I do have quite a lot of photos from this show but, unfortunately, most do have other people’s heads in the way! There are several different ‘rooms’ in the exhibit and each one seems to have a different theme. Not only did this show feature pieces that have walked the runway and appeared on celebrities but it also comprised of several art pieces including photographs, sketches and drawings. I couldn’t even tell you what my favourite piece was in the exhibit! There were so many different beautiful designs and I will admit – I was slightly tempted to slip some of the outfits on and leave with them hehe. We also of course had to go on the carousel!! It went so slow that you barely felt like you were moving but it was fun non-the-less and I made sure to take a sneaky photo! Did you go to see this show? If so, what did you think about it? What was the last art exhibit that you went to? The event is so good and I love all the pictures and the gorgeous costumes too. 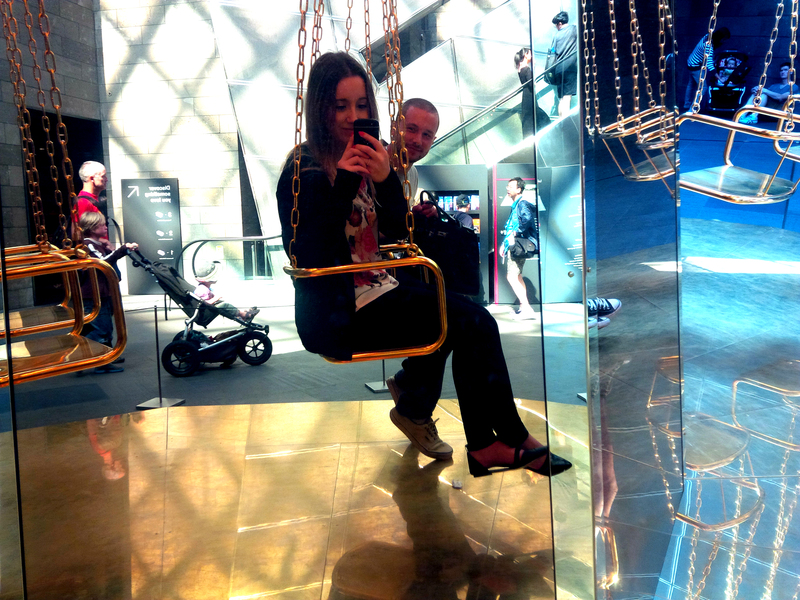 Such a unique and fun exhibit!